A prize-winning Cold War spy novel from the author of international megaseller THE READER Young lawyer Georg Polger gives up a comfortable existence in Germany to work as a freelance translator in the South of France. But business in the picturesque village is far from booming, and Georg struggles to make ends meet. One day he is approached by a certain Mr Bulnakov, who wants Georg to take over a local translation agency. The previous owner has just died in mysterious circumstances. Everything seems to be going perfectly: Georg falls in love with Bulnakov's attractive secretary, Francoise, and takes on a lucrative project left unfinished by his predecessor, translating plans for military helicopters. But everything changes when Georg notices Francoise copying his plans. She tells Georg that Bulnakov has threatened to harm her brother, who lives in Poland, if she refuses to do his bidding. When Georg confronts Bulnakov Francoise disappears, and mysterious elements within the village try to hound him out. All he has left of Francoise is a picture she gave him of a church, which she told him was in Warsaw. But when a friend tells him the church is actually in New York, Georg flies to America in a desperate bid to track down Francoise, and unravel the web of deceit. 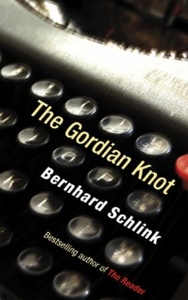 Tailed from his arrival, Georg quickly realises that he is stuck between the CIA and the KGB, and further out of his depth than he can begin to comprehend. But which side was he working for? Who is the mysterious Mr Bulkanoff? And did he ever know the real Francoise?